The ALA (American Library Association) Awards came out today. 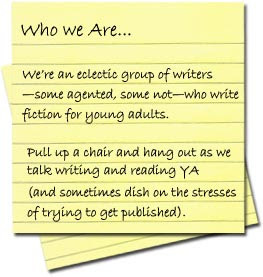 In case you’re new, these are basically the Academy Awards of the Young Adult writing world. As usual this year, there were some obvious choices, and also—many favorites that seemed to be left out in the cold. Please, read the list, and then drop us a comment as to which YA novel you think was overlooked. When You Reach Me is a title bandied about frequently on YAlitchat discussions and via other YA avenues, so this win should come as no surprise to those in the know. Tons of amazing press out there in the YA world for Flash Burnout, so again, this choice should come as no big surprise. So far, so good, right? But next is where the ALA dove into more controversial waters. According to scuttlebutt around the web, some highly regarded books didn’t make it to the list of Printz honories as expected. Now, this isn’t knocking the winners in any way–we congratulate each and every one of them for excellence in the genre. Honestly, it’s more a matter of which titles are missing. Printz Winner: Going Bovine by Libba Bray. So, we want to hear your opinion. Which fabulous YA book(s) do you think were overlooked? Drop us a comment and let us know! Original Post published on Old People Writing for Teens. To view original post and reader comments, please click here.